Hera are owners and user manuals, wiring diagrams for such outboard electric motors as Watersnake. Watersnake outboard motors - is a reliable option that combines good power with an affordable cost. This company produces a fairly large range of electric motors, both for PVC inflatable boats, and for boats made of plastic and aluminum, as well as boats. 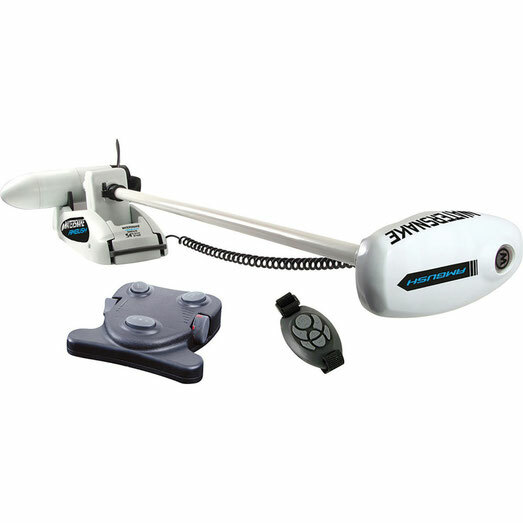 Watersnake electric motor for the boat - an indispensable tool of modern anglers like fishing or trolling on the track, and at casting. If you use a large gasoline engine on a boat, then getting it to work at minimum speed to achieve the required trolling speed of 3-5 km / h is not so easy. But it is enough to install a small electric motor for the boat - and there will not be any problems with maintaining the required speed of towing the lure. For small boats and inflatable boats, the Australian company Jarvis Walker offers Watersnake compact boat electric motors weighing only 2.5 kg and 3.5 kg. To select the model and size of the electric motor for your boat, you can download a table of the basic characteristics of electric boat motors. When catching intake, outboard electric motors are almost irreplaceable. The amazing maneuverability of a boat with such an electric motor allows you to fish any points, be it reed bays or stony ridges. You can even not use an anchor, because at the minimum screw rotation speed, the boat can be controlled with jewelery accuracy, without being distracted from the fishing process. In addition, all the Watersnake boat electric motors work completely silently, which has a positive effect on the results of fishing when trolling at shallow depths.